This Morning Glory Plume Moth was resting on a fence in a unusual posture, showing its feathery hindwings, the reason for its name. Normally, the moth will rest with wings folded and stretched in perpendicular angle to its body, making a T shape. Maybe the breeze disturbed it. 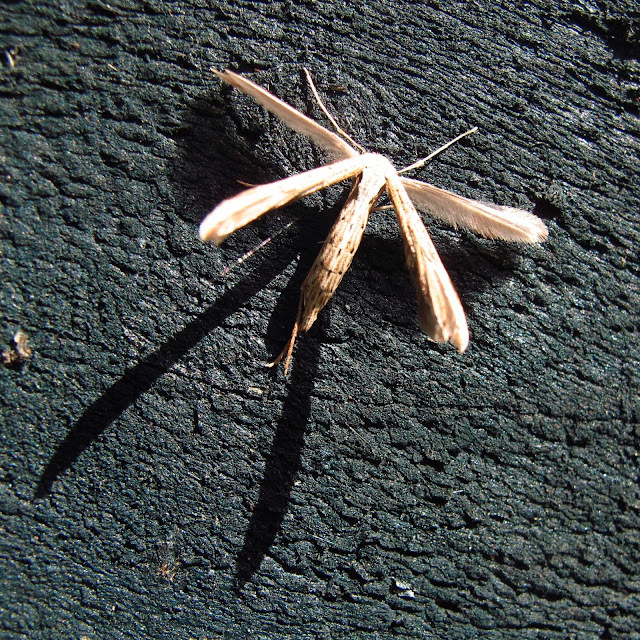 I like the shadow of its forewings on the grainy, stained wood. I have found no photos of live E. monodactyla in this position.